Coupon Code Description: Right now at More Beer, you can save $6 on each extract pumpkin beer kit and all grain pumpkin beer recipe kit that you purchase at MoreBeer.com when you enter More Beer coupon code PUMPKIN at checkout! That means you can pick up one of these MoreBeer pumpkin beer recipe kits for as little as $19 and get free shipping on orders over $59! This is the perfect beer or any Halloween party or Holiday get together! 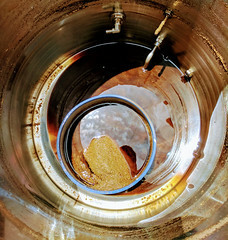 This More Beer pumpkin homebrew recipe makes 5 gallons of More Beer’s famous Pumpkin Ale. Their pumpkin ale is based on their amber ale only with modest bittering, a mild hop finish and a perfectly balanced subtle flavor of pumpkin spice to finish things off. 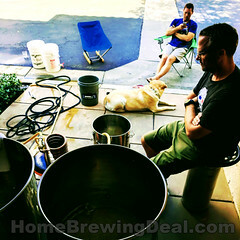 Here are some of the specifics on this pumpkin beer homebrewing recipe! 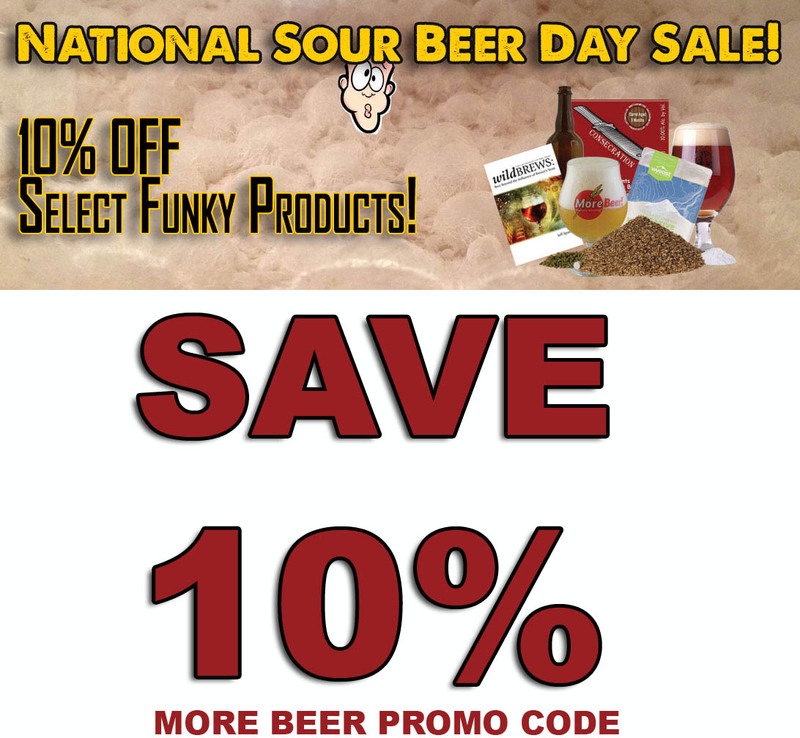 Coupon Description: More Beer is celebrating national sour beer day and has a promo code that will save you 10% On Sour Beer Kits including one of the very best available, the Russian River consecration home brewing kit. 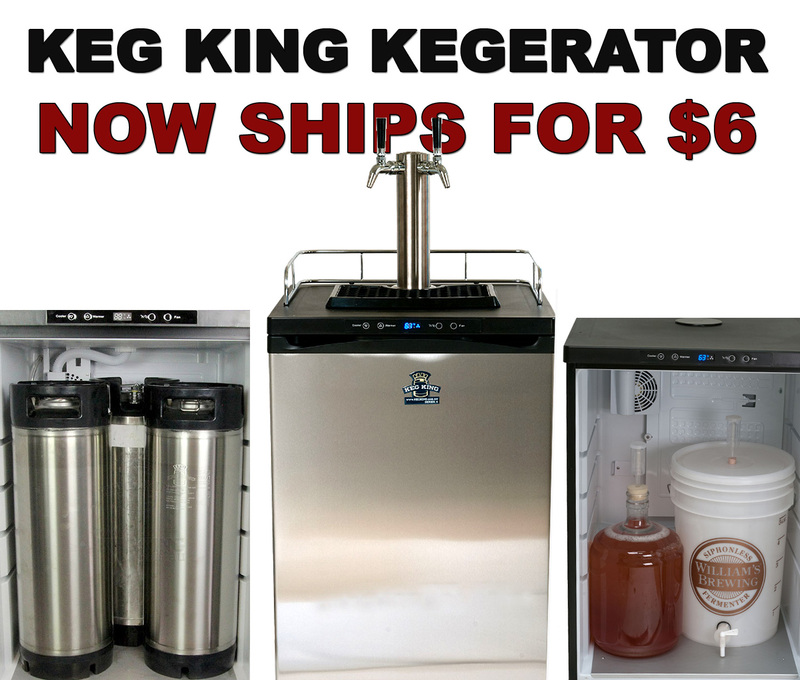 So if you are craving a sour beer and want to save a few bucks, this is the home brewing deal for you! These triple insulated beer growlers make the perfect gift for any beer lover! This sale wont last long and supplies are limited. Click the link for all of the details. Best of all, these stainless steel growlers are eligible for the More Beer free shipping program! 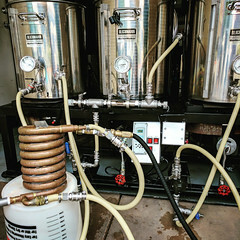 Coupon Description: Use the MoreBeer promo code BEERDEAL at check out and you will save $5 on a copy BeerSmith 2.0 Homebrewing Software! 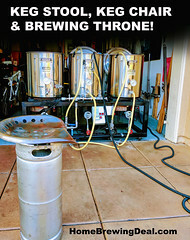 BeerSmith is the best home brewing and home brewer software available and will simplify your brew day regardless of if you are doing all grain of extract brewing. It is both powerful and easy to use. I personally use it for all of my home brewing beer recipes and I love how it organizes them so that I can easily brew them again in the future or make small tweaks if I am unhappy with an aspect of it.